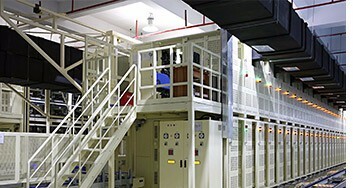 Covering an area of 1200 m2, the R&D center is equipped with high-tech test equipments for research and development. 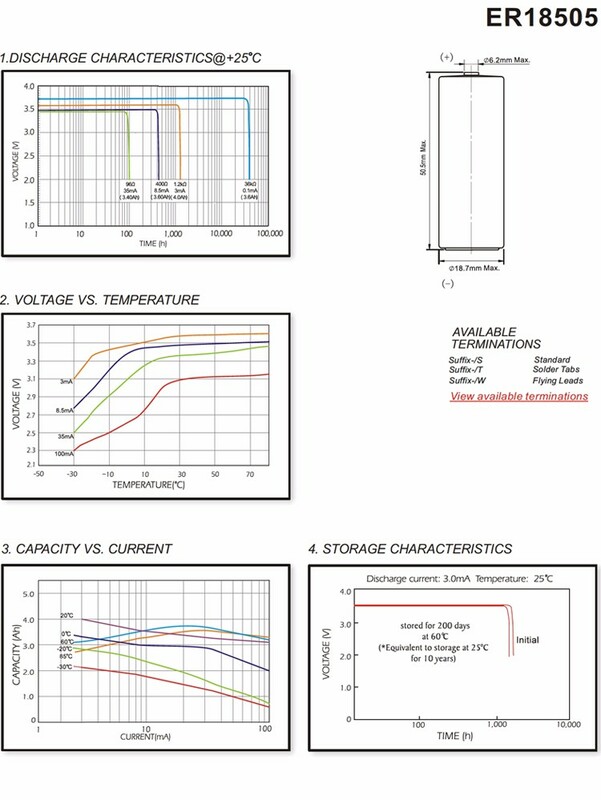 It includes a series of electrical performance and safety performance laboratories, thus possesses a strong and comprehensive research and development capability. The company established a good and stable relationship with the scientific research institutions of many reputational universities, like Wuhan University, South China University of Technology, South China Normal University, University of Maryland, and University of Arkansas. Leading by 12 doctors, the interdisciplinary comprehensive research and development engineer team is composed of more than 420 engineers major in material, electrochemistry, structural design and electronic circuit design. 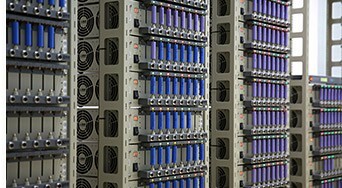 We also have a professional technology consultant team, which is comprised of academicians and experts home and abroad. 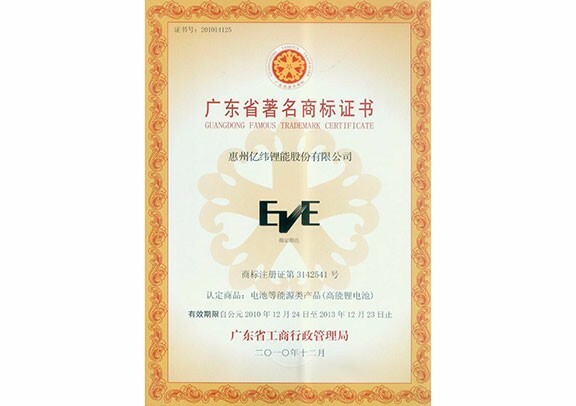 In 2015 EVE was regarded as a superior enterprise of national property right by the National Intellectual Property Office. 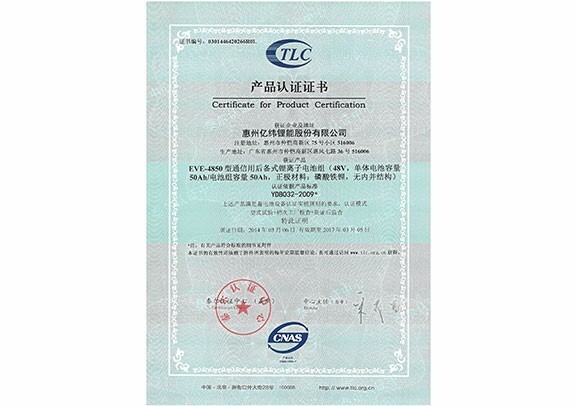 In 2014 EVE-4850 type communication application backup li-ion battery pack passed the Teil certificate. 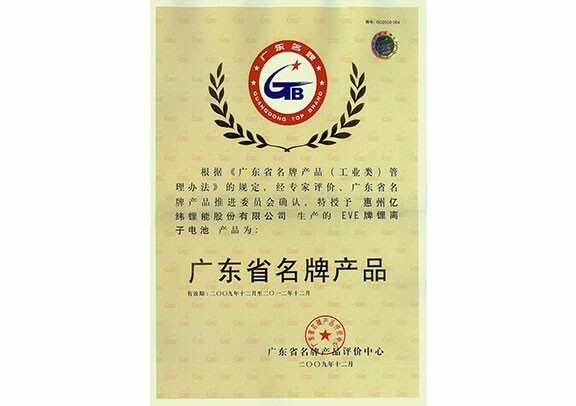 Be awarded as the “Advantage Enterprise of National Property Rights” in 2015,get authorization of 382 patents. EVE takes the initiative of formulating the standard. 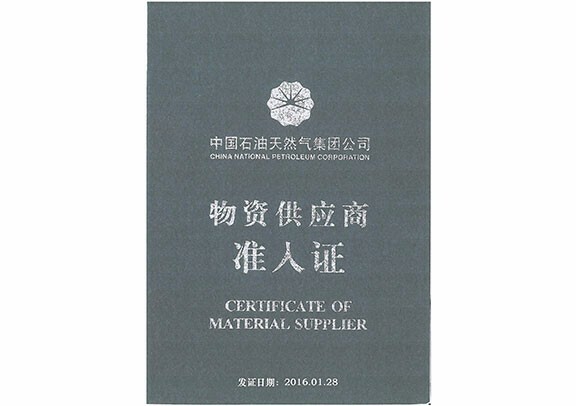 It has already undertaken some missions of setting out national standard, which were issued and implemented. 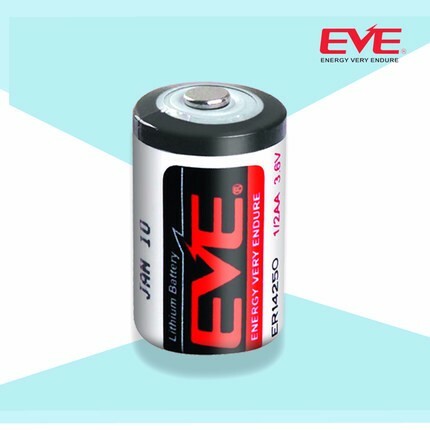 ▪ The national standard GJB 8173-2015 General standard of prismatic lithium thionyl chloride battery undertaken by EVE was issued on 19th June 2015 and was implemented on 1st October 2015. 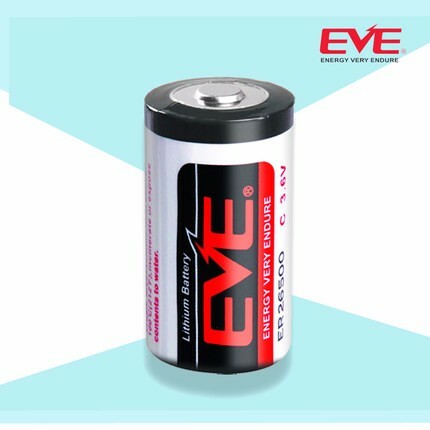 ▪ The industrial standard Safety requirement for lithium primary production undertaken by EVE got project approval in August 2015 by national industry and information office. 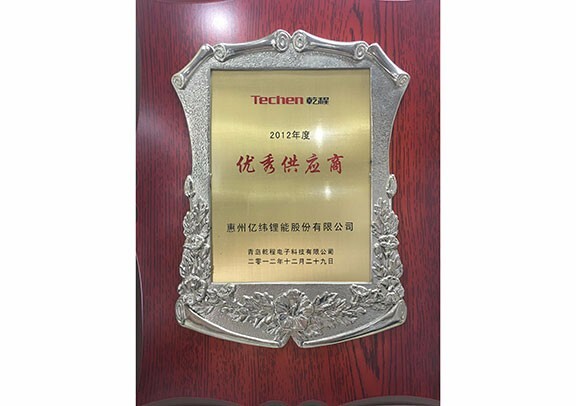 ▪ The local standard General technology condition of cabinet-type battery charger led by EVE has passed the review and got the outstanding contribution award. ▪ EVE participated in the work of formulating the local standard Management system of automotive lithium battery. Excellence pursuing, quality first, value creating. 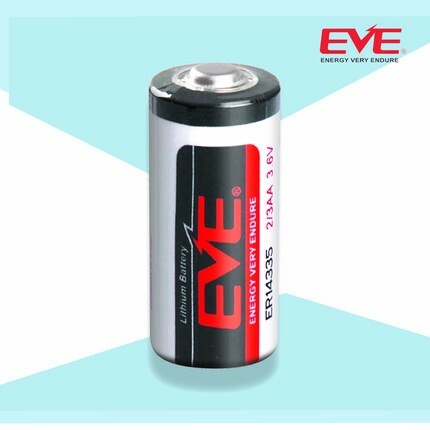 EVE imported a series of automatic production line, ensure the consistency of the products. 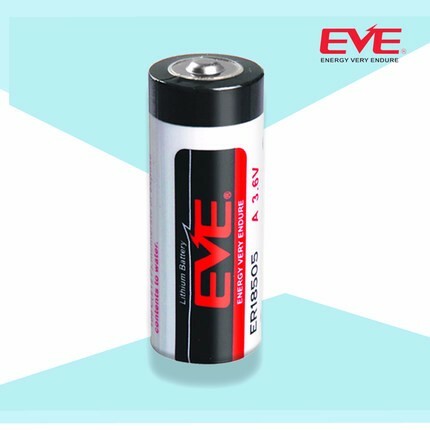 Based on the advanced power battery production capability, EVE Xiaosong factory is aiming to provide the top quality Lithium Batteries. In order to make this dream come true, we have imported the most cutting edge production line and introduced the top level management team. We will keep moving forward! Import American advanced equipment, holding the most advanced mixing idea, automatically control the input and output of the material. 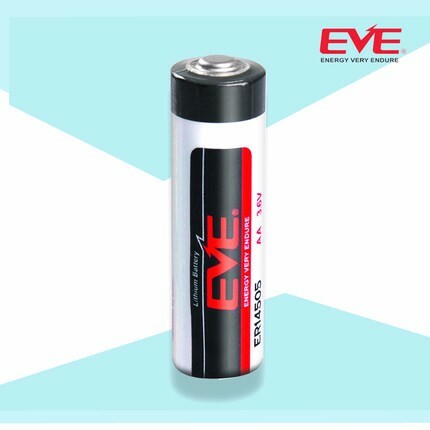 We have the best manufacture efficiency and most accurate control method, ensure the output and quality for 400 thousand batteries every day. Input the same double coating way as Samsung and Panasonic and realize self-surpass. We reduce the setup time, reduce the wasting of exchange, improve the efficiency and realize lean manufacturing. We monitor the thickness online, the highest speed of coating is 25m/min, which match the high quality request. Perfect precision adjustment, online control all the way, double synchronous pressurization. All originates from the advance imported equipment and EVE technology seamlessly combines, make the roller compaction thickness strict control in the plus or minus 2 microns of tolerance. Even if manufacture 400000pcs / day, the hob still cannot be disturbed, every mm plate can be ensured. Speed and quality organic combines well in each guide rail. 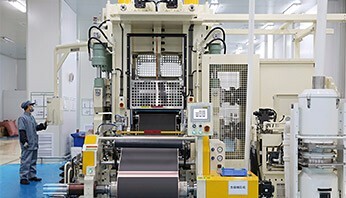 Our factory is equipped with 12 sets winding machine from Japan, each device can output 30 roll core (30 PPM) every minute, which is a representative of the most advanced level in the industry. 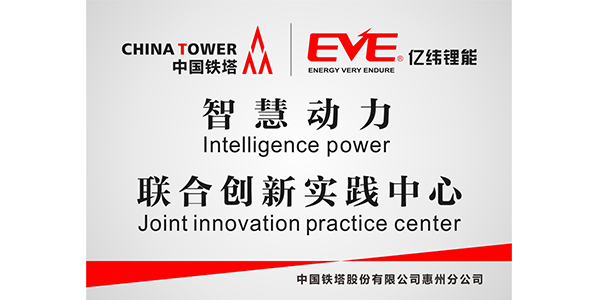 But this is only the starting point of EVE plan, the equipments can also release unmanned automatic splicing and exchange the roll, it can adapt to different models within the shortest rolls exchange time, based on these, EVE has the ability to look forward to a faster and better future for winding process. Two fully automatically assembly line, 260 battery output per minute (260 pcs/min), it is just the beginning of our plan. Based on the best automated production line in the world, we promise to release a superb assembly production efficiency and quality in the world. 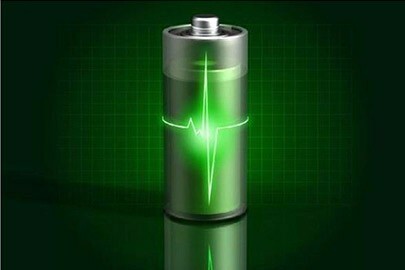 Import the industry’s most advanced equipment from Korea, release unmanned automated information management and adopt the automatic monitoring system for the top and bottom boxes, thus to ensure the consistency and production capacity of the power battery. 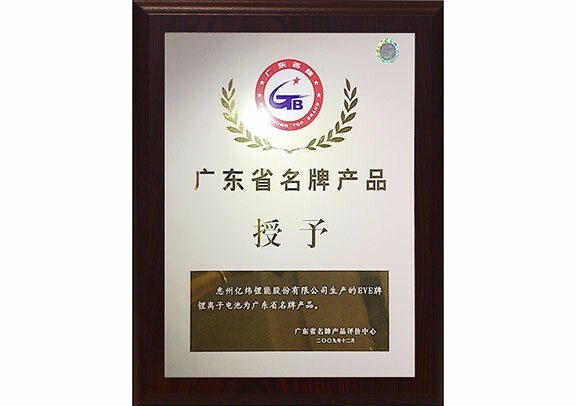 All of the information record is controlled by online system, all products and components on line shall be monitored by machine, completely avoid the risk of manual work. 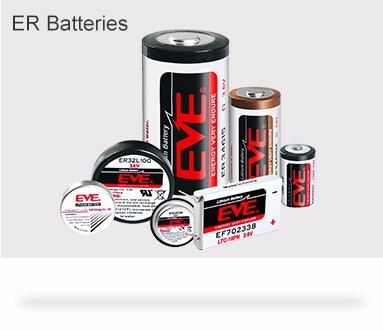 Information automation management, closely connected with the former process, relying on the bar code control segment of each battery, to ensure the traceability of each single cell, and make sure each battery which provided to the customer is perfect. 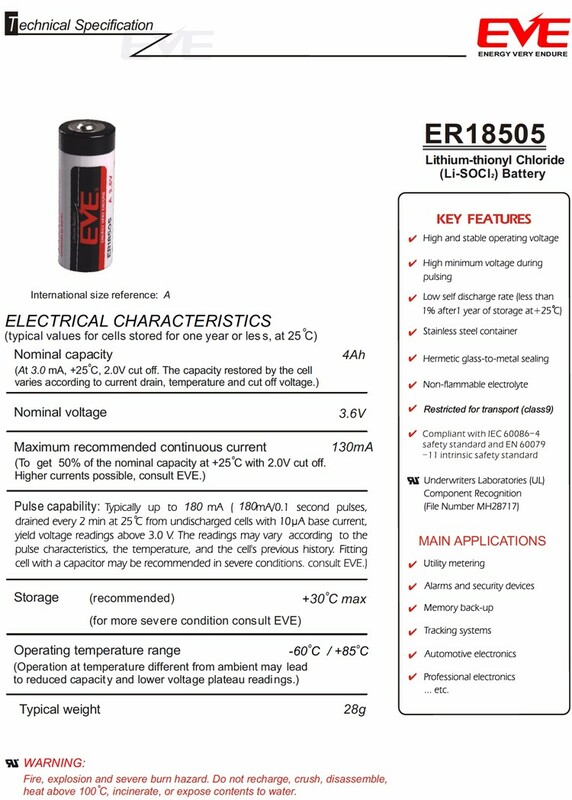 This entry was posted in Primary Dry Batteries Producers and tagged Eve Battery Li-socl2 Bobbin Type Batteries Er18505 A 3.6v 4000mah, High Quality Er18505.